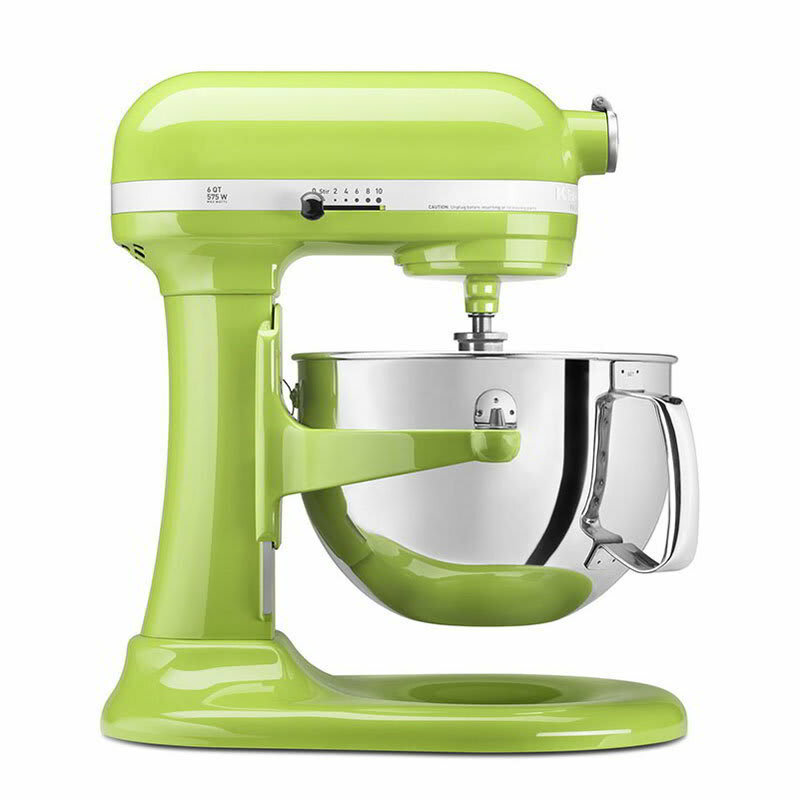 This KP26M1XGA mixer is from KitchenAid's Professional 600 Series, the most powerful they make for home chefs. It includes a dishwasher-safe, stainless steel 6-quart bowl that lets you mix up to 13 dozen cookies in a single batch. 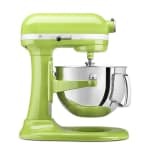 This stand mixer comes with a six wire whip, a dough hook, and a flat beater, all made from metal for durability and easy cleaning. A pouring shield lets you add ingredients to the bowl without them splashing and making a mess. Professional 600 series with pouring shield, 6 qt. polished stainless steel bowl with comfortable handle, burnished flat beater, burnished PowerKnead spiral dough hook and wire whip, pouring shield, stain nickel hinged hug cover, commercial auto reset, comfort bowl lift handle, 120v/60/1ph, Green Apple. Warranty not valid when used in commercial environment such as a bar or restaurant.